Retrospect allows us to all seem like experts when we look back at situations that played out disastrously. 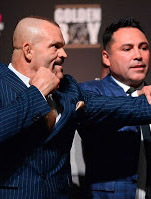 That will be the case when we talk about last weekend's fight between Chuck Liddell and Tito Ortiz, which ended with “The Iceman” being stopped in the first round. Afterwards, Liddell was hit with an indefinite medical suspension that will most likely end his MMA career (again). However, the real conversation that needs to be had concerns the prevalence of fighters being put into dangerous situations for the sake of the almighty dollar -- all the while ignoring the integrity of the sport. We all recognize that fighting is a dangerous profession that can end in calamity. There are a variety of examples throughout history of people getting maimed or even dying as a result of taking a beating during some form of combat sport. This happens even when these men and women are in peak physical condition and adequately prepared for the challenge at hand. We can usually assume in a fight that all the proper steps have been taken to ensure that these athletes are suitable to step into the cage or the ring. But what about the situations where that’s clearly not the case? Heading into Saturday’s fight, the criticism of this bout being booked was loud and clear. Both men are well past their physical prime; Ortiz is 43 and Liddell is 48. It had been nearly two years since Ortiz last stepped into the cage at Bellator 170, and eight years for Liddell, who last fought in 2010 at UFC 115. 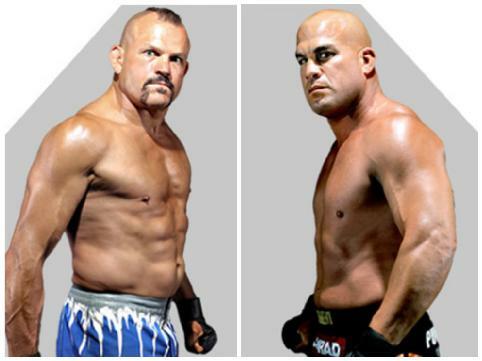 Even though both Ortiz and Liddell are considered two of the first mainstream stars in the sport, that point in history is long past. So, the question as to why this bout was needed at this time was not off base. However, the answer points toward a true problem in the combat sports. It seems likely that this fight was booked as a money grab for both men. 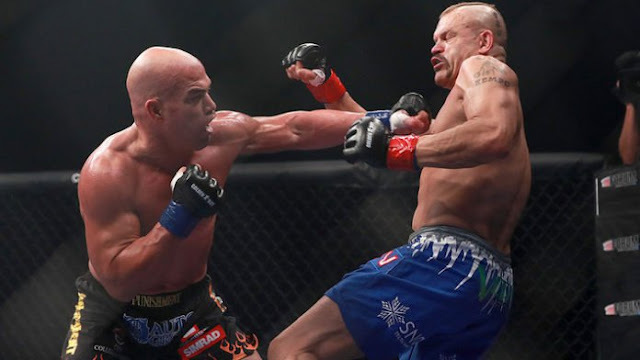 Ortiz has been more active in recent years, but Liddell's career had been dormant since he was “retired” by UFC President Dana White after his defeat at the hands of Rich Franklin. White put Liddell in a paid position within the UFC, a position that went away once the UFC was sold in 2016, as the new owners trimmed away these types of jobs, including the one held by Matt Hughes. Liddell’s personal finances are unknown, but it’s hard to believe he is in the same position that he was during the late 90s and early 2000s when he was the face of mixed martial arts. This fight gave him an opportunity to make a large sum of money that may have been out of his grasp otherwise. Liddell led all fighters on the card with the largest purse, $250,000 for the first-round defeat. That amount will increase once PPV buy rates are calculated. Staying out of the cage would have kept Liddell from making that payday. But that opportunity shouldn’t trump the health of a fighter and the overall integrity of the sport. “The fact the state of California let that fight happen is disgusting. It's disgusting. Anybody who claims to be a friend of Chuck Liddell and was anywhere near [that fight] is full of s---. They're not a friend of Chuck Liddell. To let him go in and fight this fight is terrible." The damage that Liddell sustained over the years, coupled with his advanced age, should have made it difficult for him to pass the tests needed to be cleared for action. However, Liddell was properly licensed by the California State Athletic Commission. The CSAC is often considered one of the more progressive commissions in combat sports, but that doesn’t mean they do not have missteps such as this. The commission made the decision that the financial gain from having this bout was more important than the other circumstances at play, and even if their indefinite suspension of Liddell could be considered a "make-up call" of sorts, there's no making up the possible damage Liddell sustained. Mixed martial arts can not continue to allow itself to go down this road. As promoters turn toward leveraging the entertainment aspect of combat sports into profit, there will be more and more questionable fights designed to draw ratings and revenue, but which may need to skirt the precautions in place to protect those in action. Hopefully, everyone who participates in this sport will do their part to push the sport back in the right direction, before things go off the deep end.